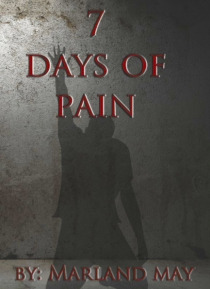 7 days of pain is a biblical principle that I discovered through an intensely difficult time in my life. I gravitated toward the stories of David and Job because, in a week, they both seemed to have endured the impossible and were healed through it. I wanted desperately to recover and move past the dark years. I had to ask myself extremely difficult questions in order to heal. Why did this happen … to me? What is it going to take for me to be free? Is God torturing me? Why wont He make it stop? Davids suffering was brought about by his pride, much like my own. God had to work hard in breaking him down because his pride had crept into every corner of his being. Job took comfort in his unblemished relationship with God, much like I did. He questioned Gods judicial right to cause him this pain. All he wanted was for God to explain Himself, just like we do. There are two types of spiritual pain: self-inflicted, brought about by our own mistakes and growing pains brought about by God. We can examine the biblical stories of King David and Job as models for reacting to suffering. I want this to be as much of a sensory experience as possible. I want you to connect with the Bible characters and get lost in their stories. I want you to be able to overlay their stories with your experiences and find common ground. As you read through this book, youll notice an uplifting song is linked with each chapter. If you are struggling right now, take the time to listen to each song as your read through each chapter. Read the lyrics to the song and play them at least twice before moving on. Allow the Spirit of God to seep in and scrub away what doesnt belong. The objective isnt for you to be pain free at the end of this book, although I believe God can do that. The intent is to peel you off the ground and get you up onto your knees in seven days. My pain was still present, but I could feel the warmth of the sun at the end of my tunnel. I would love to hear how God has brought you through your dark shadows.